From left: coach Lindsay Blouin, team members Allena McCain, Elise Benezech (holding the championship plaque), and Brooke Delaune, and coach Joshua Newville. 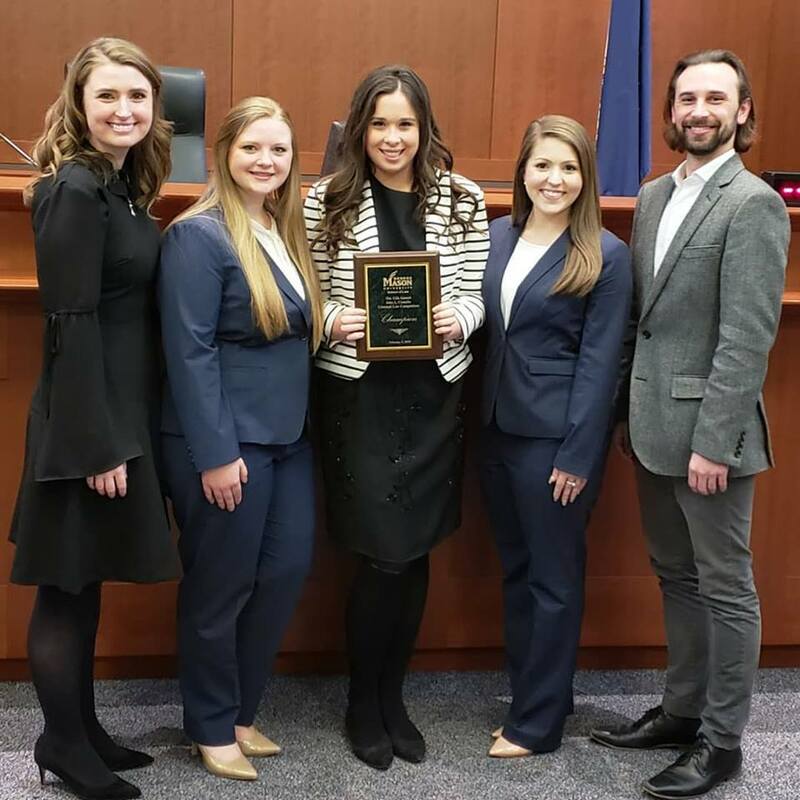 LSU Law’s Advocacy Programs claimed another national championship this weekend after taking first place in the John L. Costello National Criminal Trial Competition in Fairfax, Va. Team members Elise Benezech, Brooke Delaune, and Allena McCain faced off against 32 teams from law schools across the United States in the fast-paced, ever-changing Costello competition, and ultimately emerged as the 2019 national champions. The Costello competition provides teams with new evidence and new witnesses in each successive trial round, to more closely simulate the realities of criminal trial practice – teams must adapt their case presentation and develop new evidentiary arguments on the fly in each round. The team was coached by Lindsay Blouin (LSU Law ’12), Deputy Chief Defender at the East Baton Rouge Office of the Public Defender, and Joshua Newville (LSU Law ’12), Section Chief at the East Baton Rouge Office of the Public Defender. The team was assisted in its competition preparations by team alternate Whitney Moore Ruan. The Costello Competition is hosted by George Mason University’s Antonin Scalia School of Law. It is uniquely designed by Judge Jonathan Thacher to take participants outside the typical realms of law school competitions. By revealing unknown facts and witnesses as the competition progresses, the Costello Competition simulates the evolving and unexpected nature of real-life criminal trials. This dynamic design provides competitors with a realistic experience as counsel in a criminal trial and an exciting take on trial advocacy.